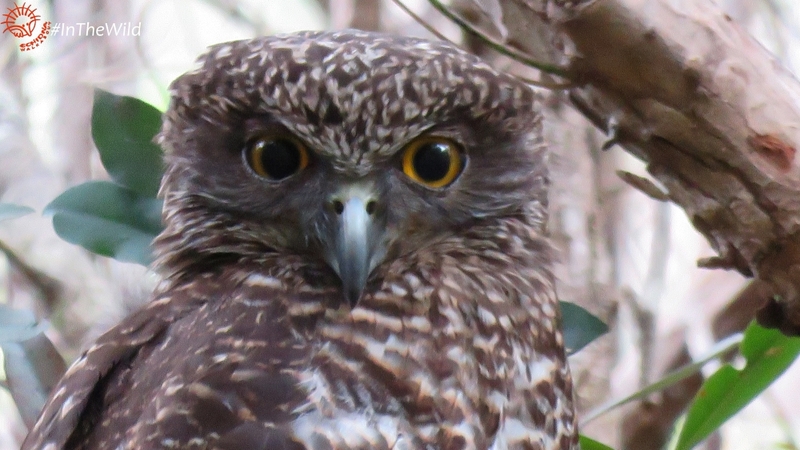 The Powerful Owls of Buchan, East Gippsland. In February 2014 a bushfire ripped through Raymond Creek Falls in the Snowy River National Park, East Gippsland. 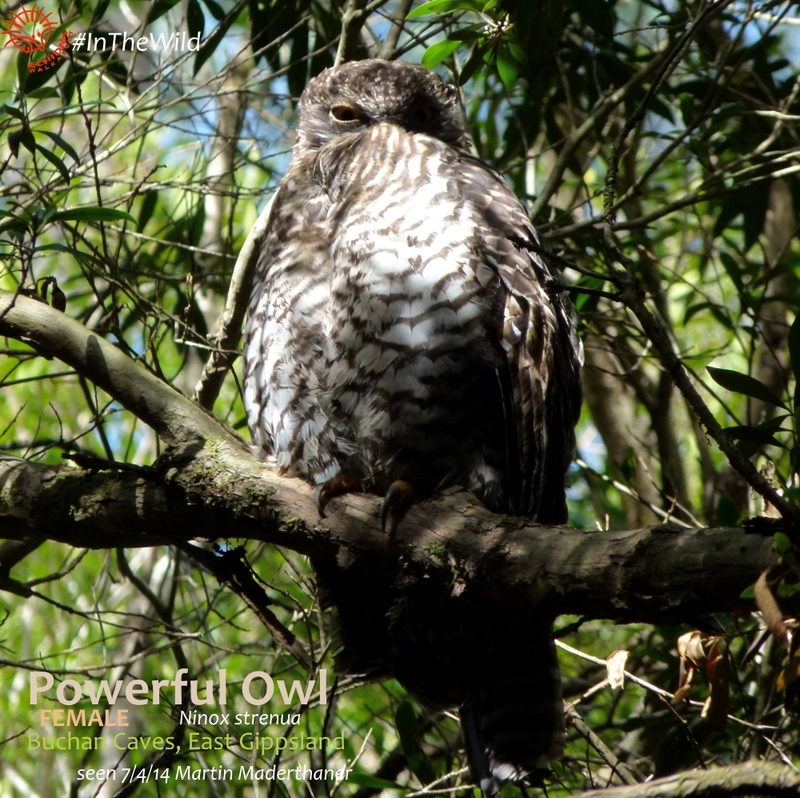 This was a blow – this site was a highlight of our 4 day Wildlife Journey to East Gippsland. The area had shown great promise as a birdwatching site – the combination of dry Brittle Gum heathy woodland and wet Peppermint & Mountain Grey Gum forest drew in different birds with each season. I saw White-bellied Cuckoo-shrike, Rufous Songlark, Flame and Scarlet Robins, large numbers of honeyeaters and once, Turquoise Parrots. We will never know if the Turquoise Parrots survived the fire – they have not been recorded there since, but other species are back. Len & Jacquie Axen saw 41 species there in 2016. Sadly, we had to find a new place to visit the Snowy River. International travellers don’t come to Australia to see burnt forest, and anyway, parks are closed for up to a year after a fire. The new site had to be close to our base at Snowy River Homestead Orbost, accessible, diverse and rich in wildlife. 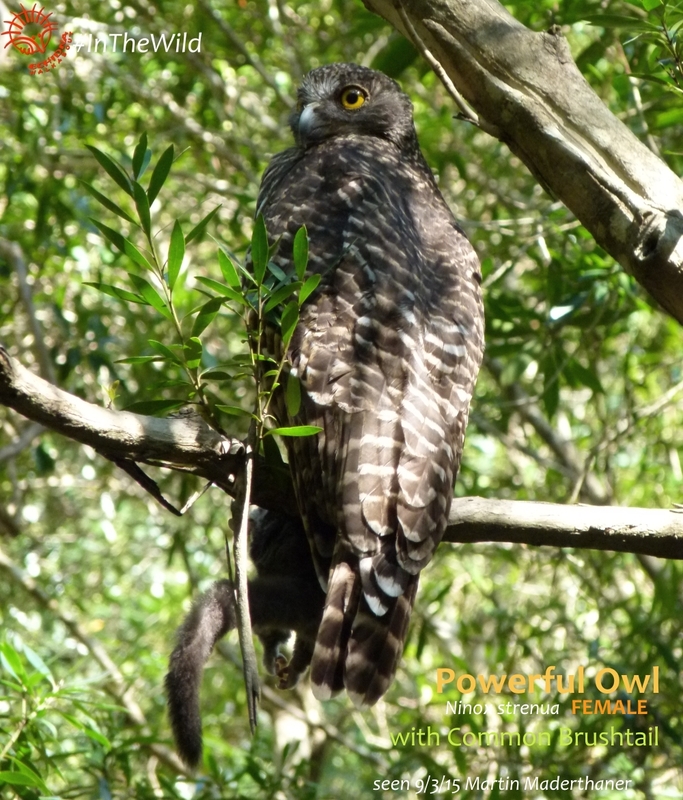 We looked to Buchan, and we found Powerful Owls. 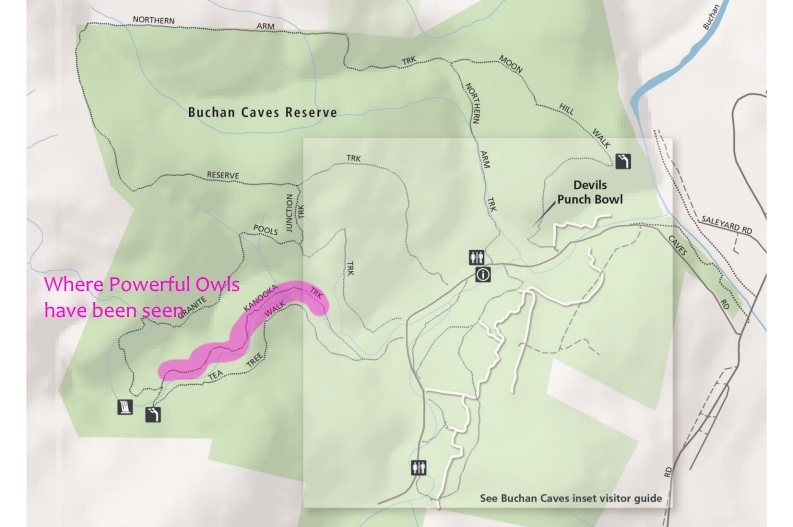 Though the public part of Buchan Caves Reserve is highly-modified, around three-quarters of the park is natural bush that supports a lot of wildlife. Eastern Grey Kangaroos graze the lawns around the tents, Swamp Wallabies are seen in the forest, Koalas are seen along the Orbost-Buchan Rd, at Murrindal, and sometimes in the reserve. A Platypus is occasionally seen at Murrindal too. Echidna, Lace Monitor/Goanna, the beautiful Copper-tailed Skink, Gippsland Water Dragon are all seen frequently. 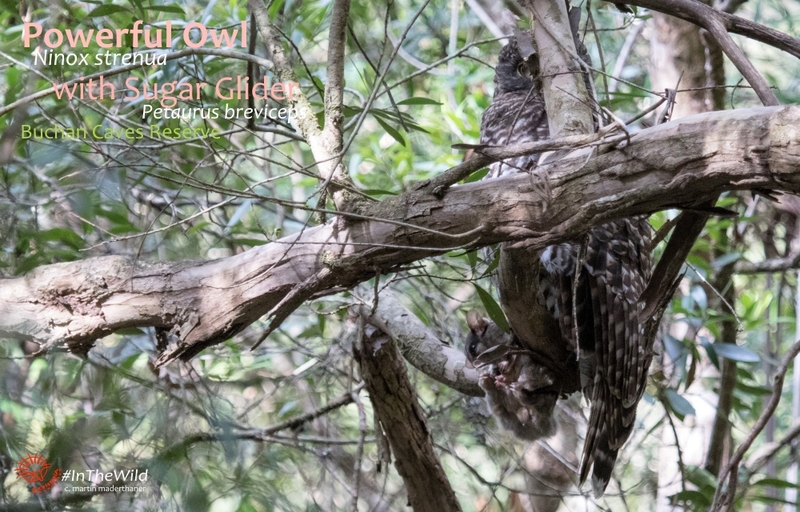 We’re not there at night, but we know that Common Brushtail and Sugar Glider are found in the area too – because the Powerful Owls of Buchan prey on them. 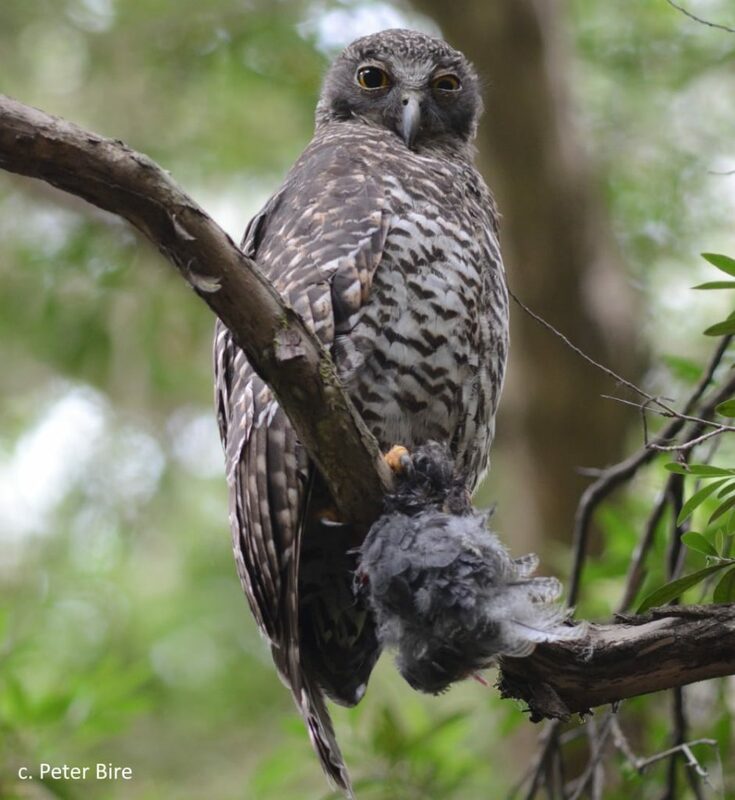 On 24 November 2014 at 2.24pm Guide Roger Smith found a female owl holding a partially-eaten, headless, light grey animal that he assumed was a brushtail. On closer inspection of the photo, we are now convinced it was a small koala. 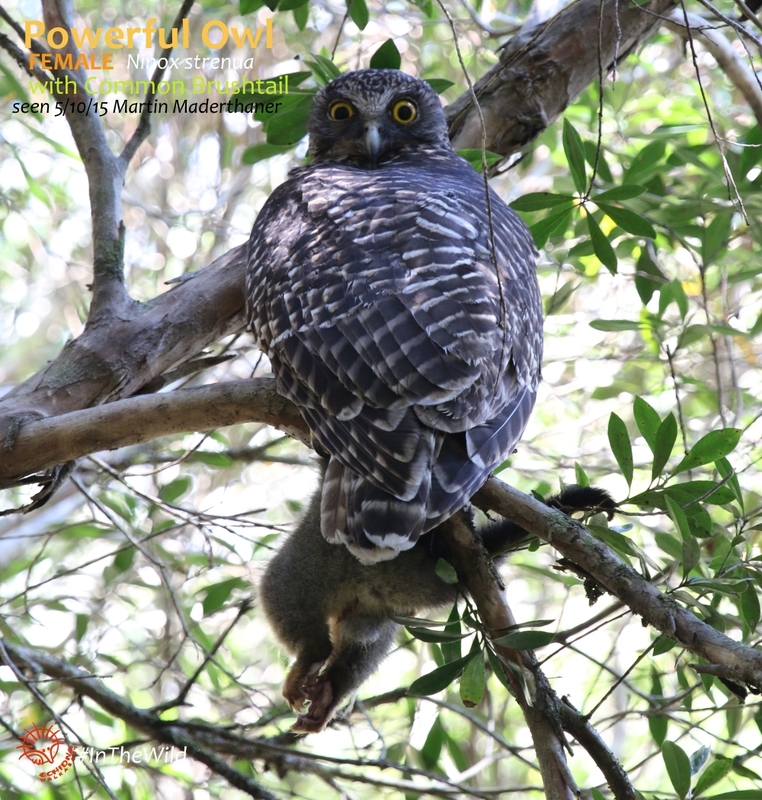 On 9 March 2015 at 2.45pm Guide Martin found a female owl holding a Common Brushtail eBird Checklist, then again on 5 October 2015 Martin found the female roosting with another Common Brushtail. Spring Creek Gully is a shallow, rocky creek, lined with medium-sized Kanooka trees. The Spring Creek Track splits about half a kilometre from its start at the carpark – the Tea Tree Track goes uphill, and the Kanooka track heads down into the gully. Kanooka track walks along and beside the creek for about one kilometre, enabling good views under the canopy. Due to the thick tangle of branches, the birds are easy to miss – on several occasions the observers have only seen the bird when looking back over their shoulder. 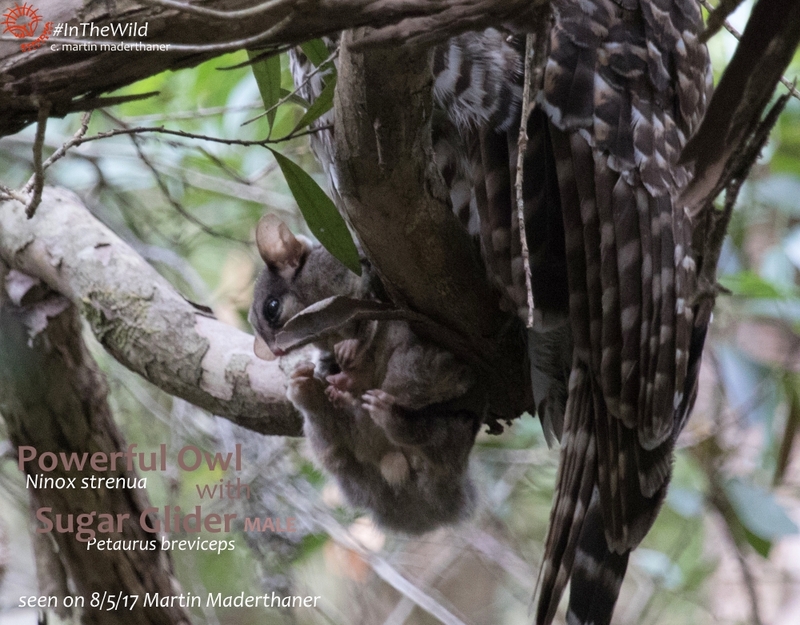 It also possible that they don’t roost in the Kanooka Track section of the gully every day – there is habitat upstream and further into the reserve that can’t be accessed by walking track. 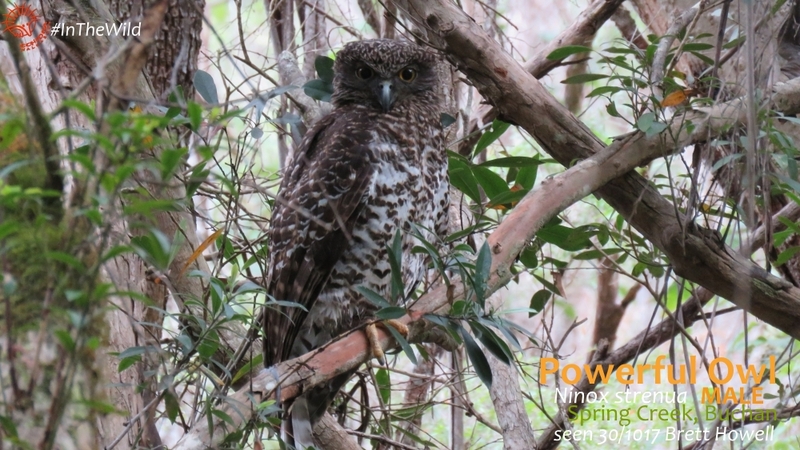 Over 2017 we have run 10 trips into Spring Creek in Buchan, and the owls have been seen on five visits, which is quite a high success rate for this species. 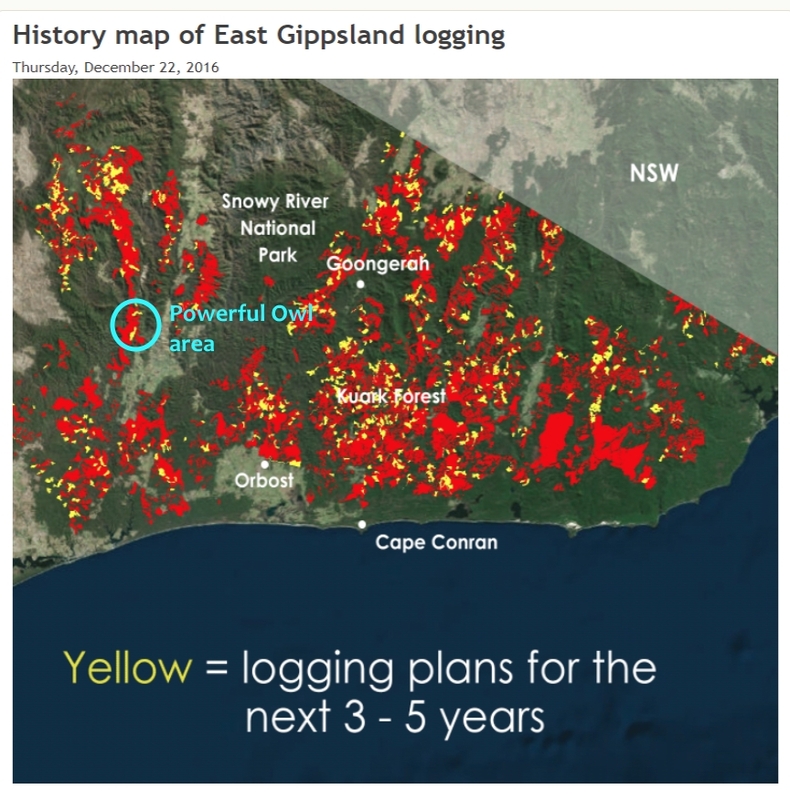 In late September 2017 a large fire burnt 8000 hectares north-west of the Buchan Caves Reserve. 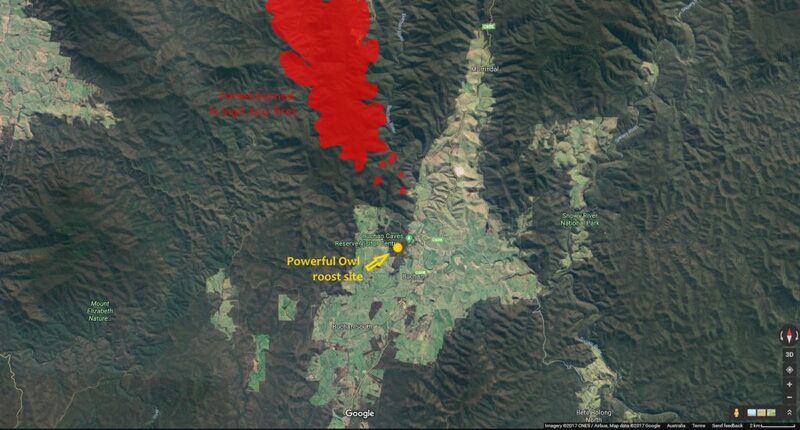 The closest point of the main fire was about 4km from the owls’ roosting site, with some spot fires closer still. We don’t know the home range of these owls, but McNabb (1) shows a Powerful Owl home range in good quality habitat of 300 hectares and Soderquist (2) shows home ranges of 1380 to 4770ha. With the lack of forest to their south-east, there is a good chance that some of their foraging area was affected by this fire. It could be critical for these birds that the remaining forest is protected from fire for some years. Our early October 2017 trip was prevented from accessing the site which was still closed due to the fire. Then again, on 30 October 2017 at 10.00am Brett found Polly the female roosting quite low, just above the track. The group watched her for a while, and after a few minutes she flew off, low, straight over their heads and perched again on a higher branch about 20metres away. Brett feels there was no attempt by her to terrorise them, she simply chose the straightest route to a higher branch, which happened to be over their heads. All this time two Swamp Wallabies were fighting nearby, completely focussed on each other. Brett and guests all agreed it was the best day ever and couldn’t be topped. 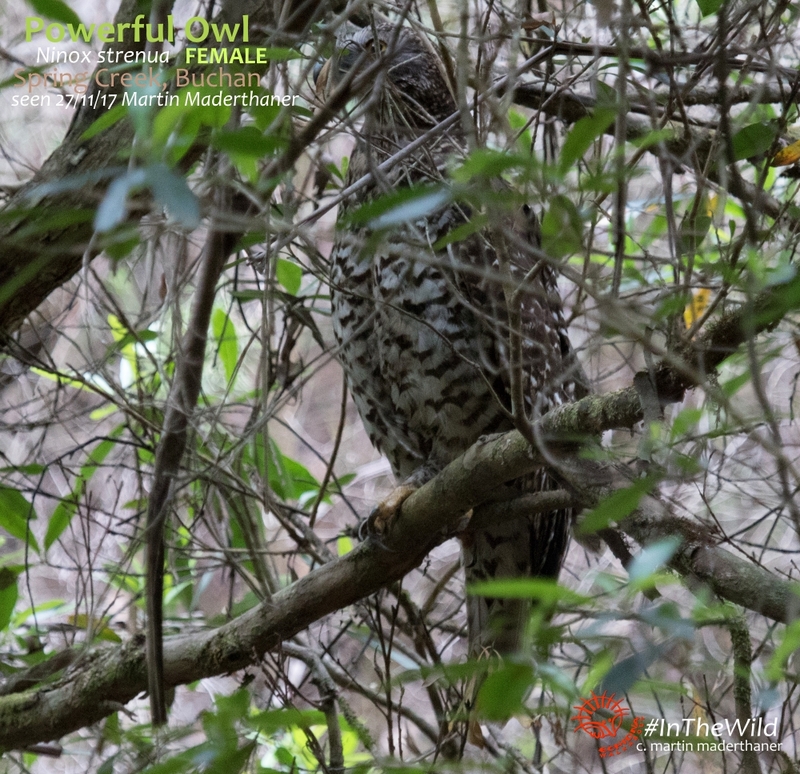 Then they walked along the gully and found the male Powerful Owl! On 13 November 2017 at 10.34am Brett again found Polly, the female owl. On 27 November 2017 Martin found female Polly. Further along the creek, near the falls, they watched a Leaden Flycatcher bravely tormenting a much-larger Pied Currawong. 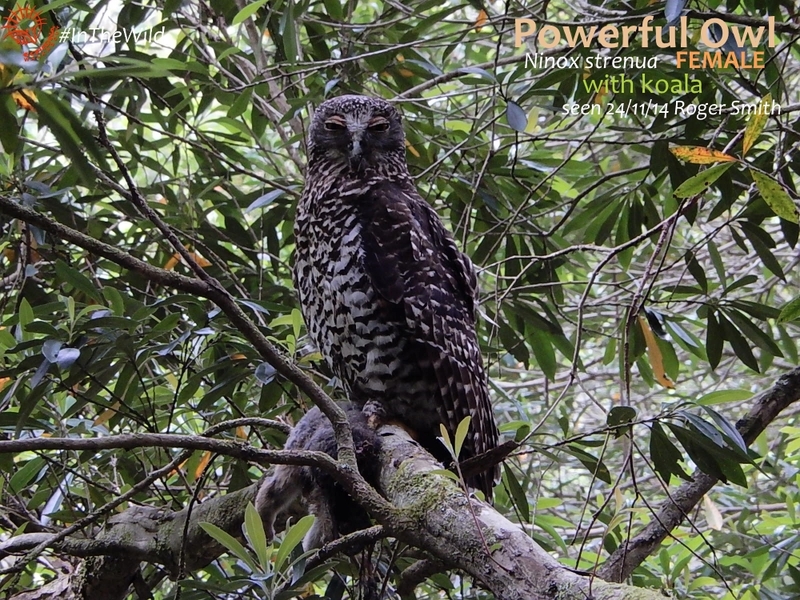 As they watched the currawong flew away from the determined flycatcher, right towards the well-hidden male Powerful Owl. This pulled the currawong up short! Priorities changed rapidly, and the currawong immediately started harassing the owl. The male owl ignored the currawong completely. On 9 February 2018, Ranger Peter found Polly holding a large bird in her talons. 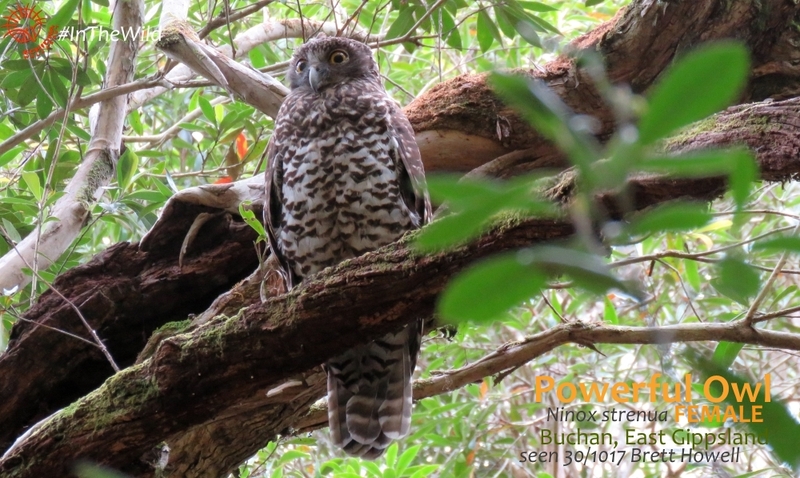 The Powerful Owls of Buchan seem to be doing well, residing in the area for at least 9 years, but we have not seen any evidence of breeding. If they had bred successfully this year, young should have been present or near an adult from August to now (and up to January 2018). It is possible that the young were with the male, who was not found on 23 October or 13 November, but as both Polly and her mate were found on 30 October and 27 November with no young, it might be assumed that they did not breed. 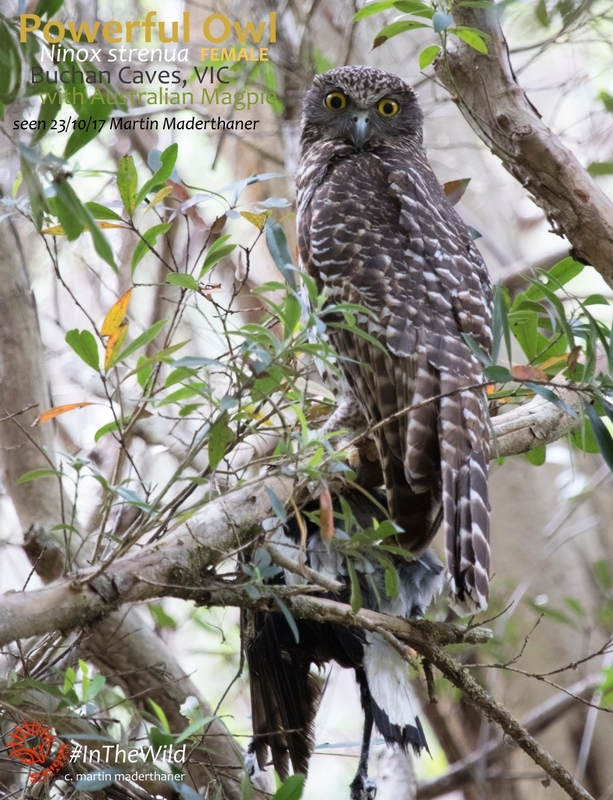 When I started to write this story the Powerful Owls of Buchan were a nice sighting that I felt should be shared with other nature lovers. I now see how fragile their existence is – they have huge home ranges, require abundant arboreal mammal prey and large old hollow-bearing trees to breed. I find myself checking the planned burns and logging for the area, and I’m concerned. There are fuel reduction burns planned in their habitat in the next two years. Have the owls been taken into account, and do all these burns need to proceed? There is also logging planned in their habitat in the next 3 to 5 years. Has the combination of logging, planned burns and wildfires been considered for its total impact on the owls? 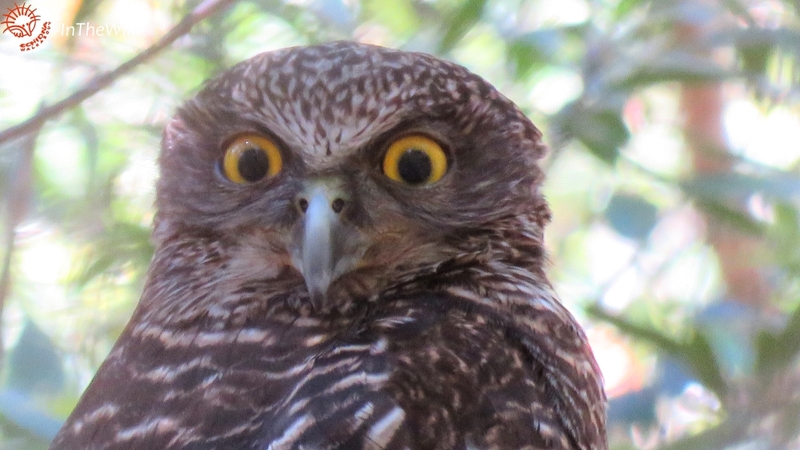 A bushfire started our relationship with the Powerful Owls of Buchan. I don’t want our relationship ended by another fire. This story shows the importance of recording observations and the potential value of the tourism industry to conservation – read here about how tour guides (and members of the public) can submit sightings for the benefit of science and conservation. 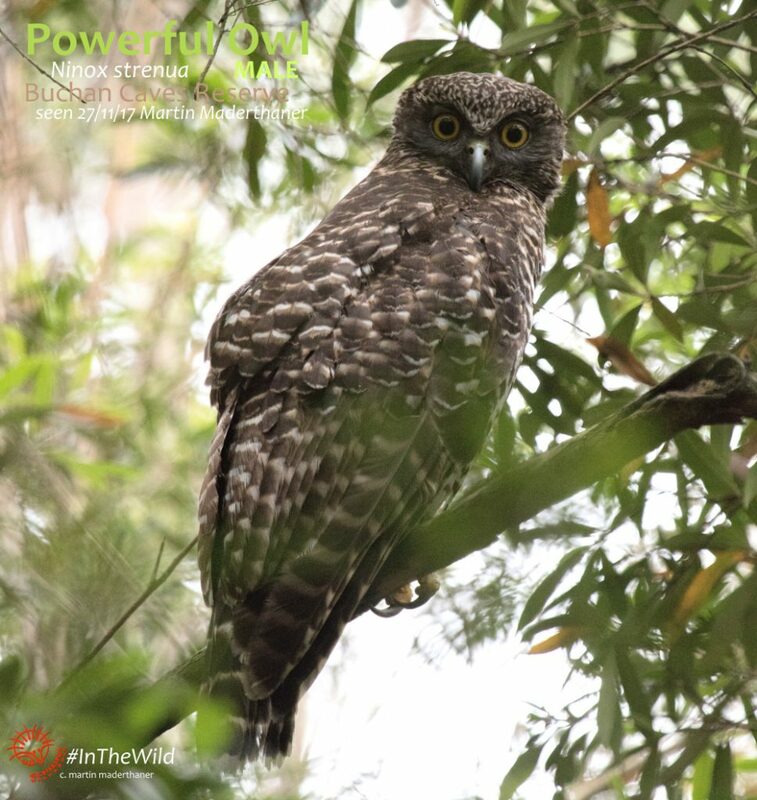 You can help our largest owl: BirdLife Australia have a Powerful Owl project that you can donate to or volunteer your time. Olsen, Jerry (2011) Australian High Country Owls. CSIRO Publishing. 1. McNabb, E.G. (1996) Observations on the biology of the Powerful Owl Ninox strenua in Southern Victoria, Australian Bird Watcher, 1996 Vol.16 (7), 267-295. 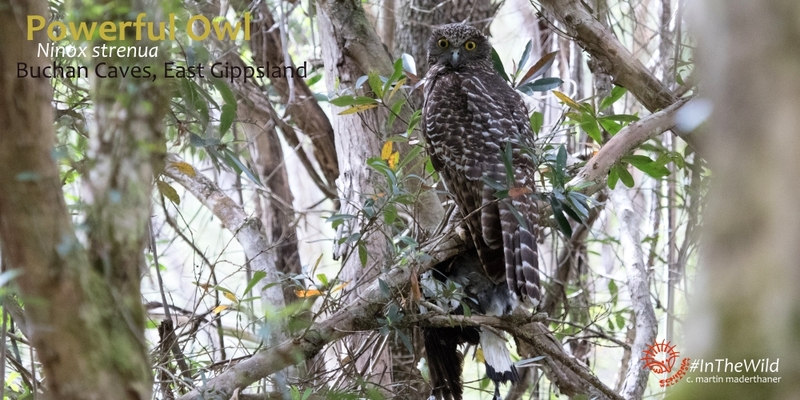 Jenny Lawrence, Gippsland High Country Tours, record of seeing Powerful Owls at Buchan.